D.J. 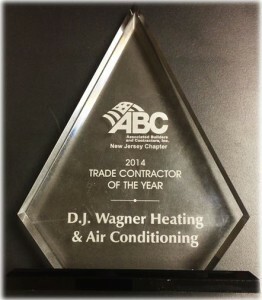 Wagner Heating & Air Conditioning, Inc. received the Excellence in Construction Award at ABC NJ’s fourth annual Excellence in Construction Awards for the Contemporary Graphics Project in Camden, NJ in the category: Mechanical Contract between $2-$5 Million. D.J. 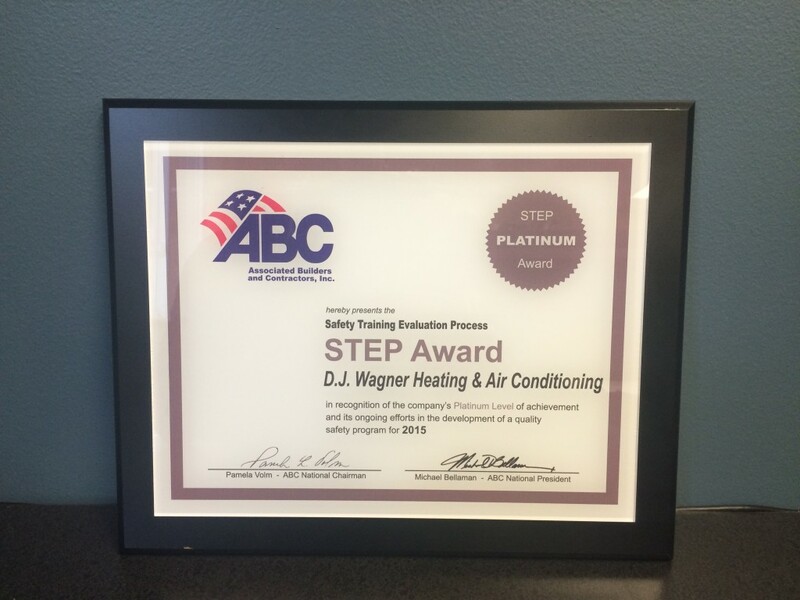 Wagner Heating & Air Conditioning, Inc. has received the Excellence in Construction Award at ABC NJ’s third Excellence in Construction Awards for our Sunoco, Inc. Headquarters Fit-Out project in the category: Mechanical Contract between $2-$5 Million. D.J. 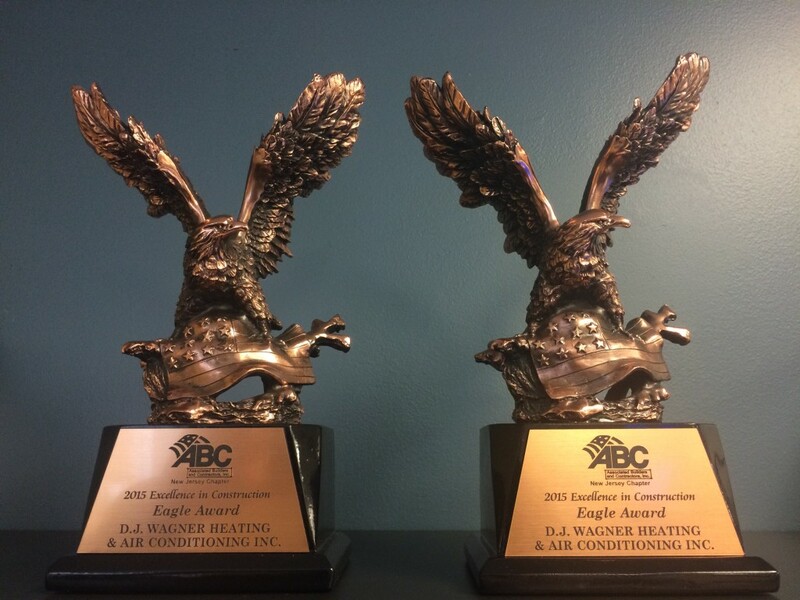 Wagner Heating & Air Conditioning, Inc. has received the Excellence in Construction Award at ABC NJ’s third Excellence in Construction Awards for our Princeton University: Lakeside Graduate Student Housing project in the category: Mechanical Contract between $5-$10 Million. D.J. 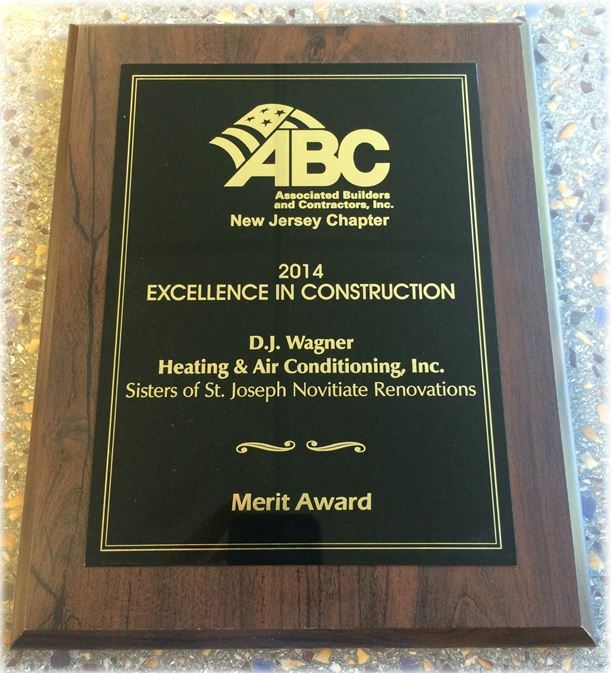 Wagner Heating & Air Conditioning, Inc. has received another Merit Award at ABC NJ’s second Excellence in Construction Awards for our Sisters of St. Joseph Novitiate Renovations project in the category: Mechanical Contract under $5 million. D.J. 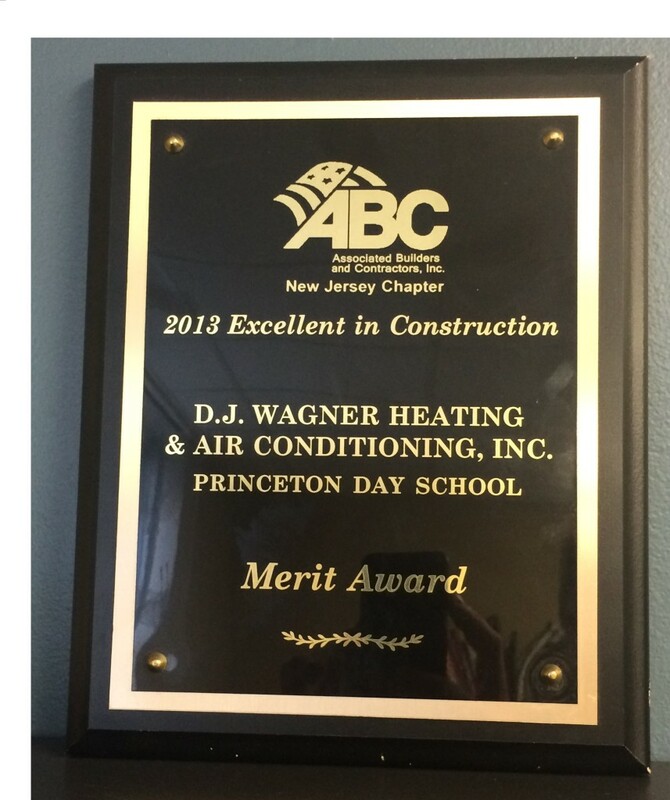 Wagner Heating & Air Conditioning, Inc. has received the Merit Awards at ABC NJ’s first Excellence in Construction Awards for our Princeton Day School project in the category: Mechanical Contract under $2 Million.